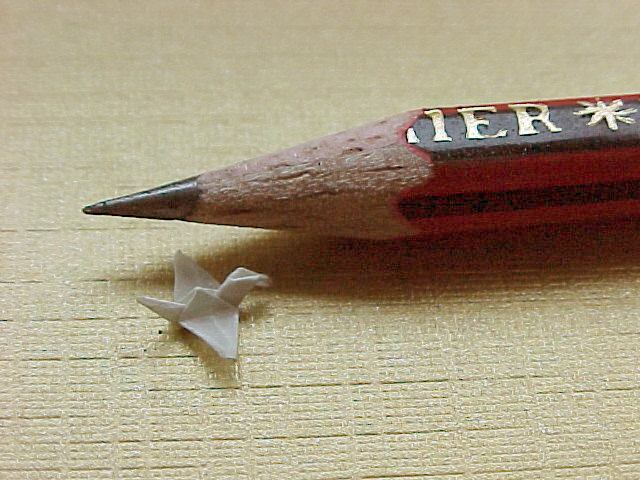 A Miniature Flapping Bird, made from the Bird Base - one of the most important folds in Origami. Folded using 8mm square Tracing Paper. Measures 6mm at the wing tips. Diagrams in "Origami 1" by Robert Harbin.